Quest for Beauty installation photo. 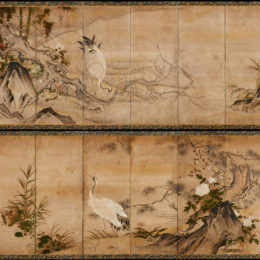 Japan, unknown artist, Pair of Bird-and-Flower Screens, 16th/early 17th century, ink and color on paper, Collection of Richard Louis Brown. 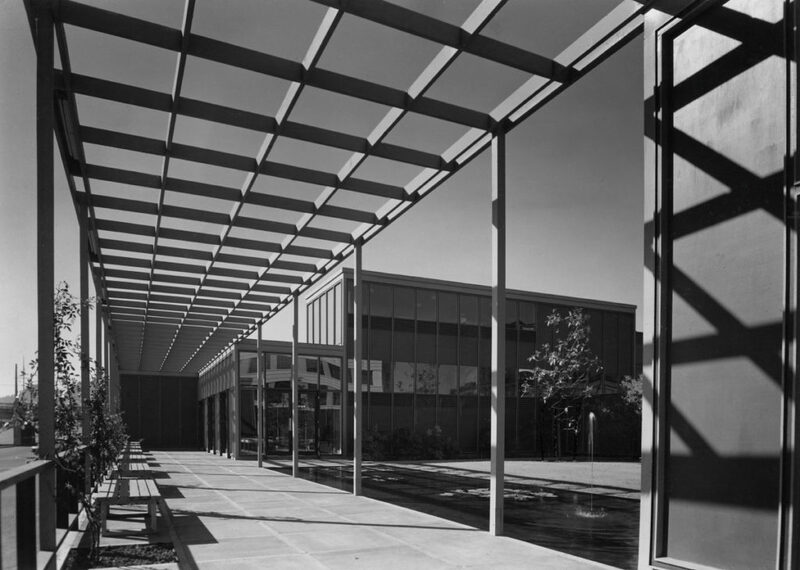 The Portland Art Museum is pleased to announce Quest for Beauty: The Architecture, Landscapes, and Collections of John Yeon, a retrospective look at an Oregon original.Few architects have influenced so many facets of a region as John Yeon (1910-1994). 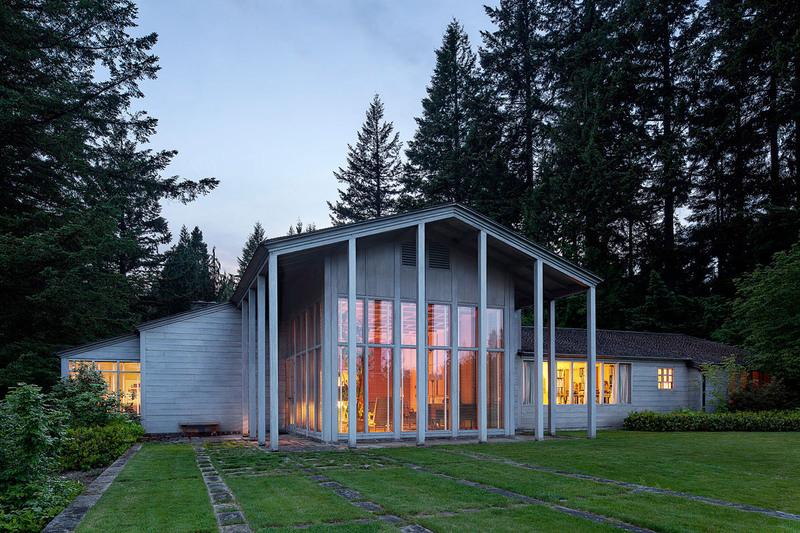 Yeon is most widely remembered as an architect, in particular for a series of innovative houses—most prominently, the 1937 Aubrey Watzek House—that drew an international spotlight to regional modernism in the Pacific Northwest. Yet Yeon had equal vision and influence as a planner, conservationist, historic preservationist, urban activist, and, perhaps most of all, connoisseur of elegance and craft. 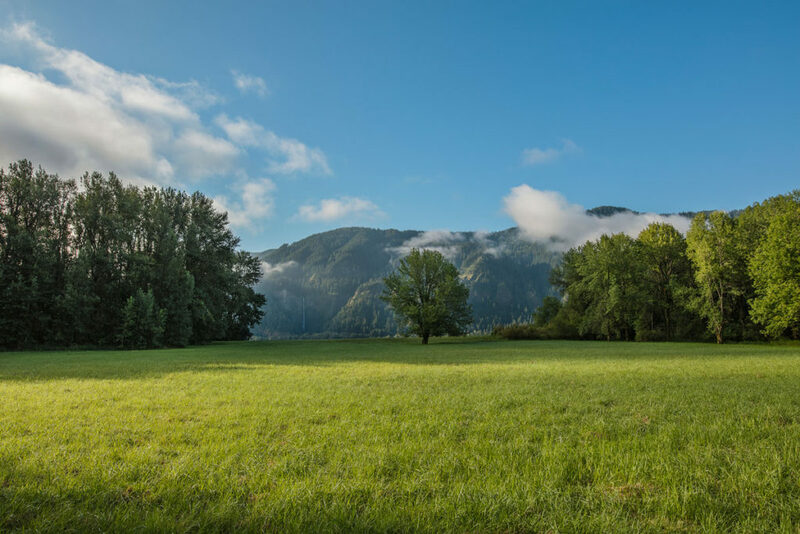 Largely self taught, and working independently, Yeon designed distinctive buildings, shaped precedent-stretching gardens, and fought to preserve some of the Northwest’s most treasured vistas—the Columbia River Gorge, the Oregon Coast, Olympic National Park. 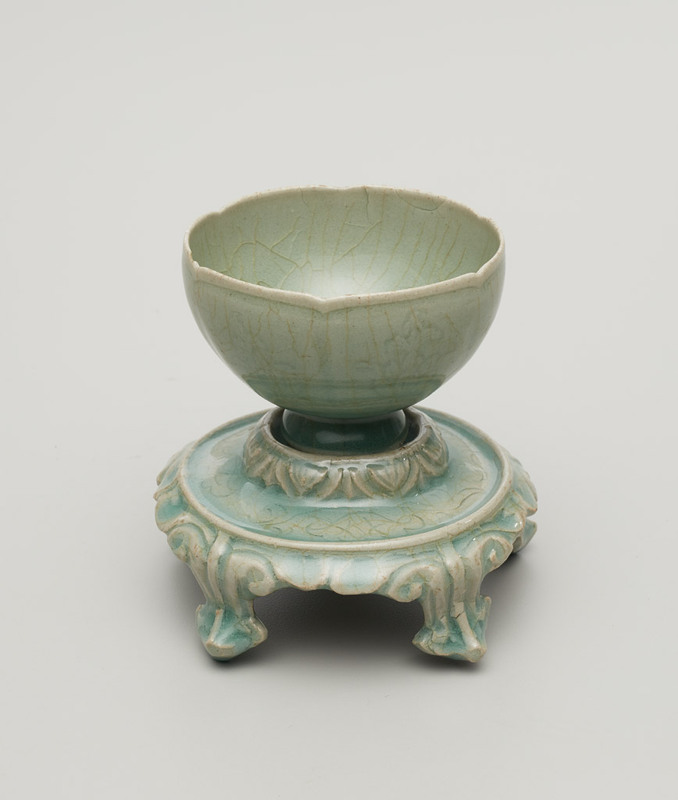 In addition, he amassed a highly personal collection of Asian and European decorative arts. Developed with the University of Oregon’s John Yeon Center for Architecture and the Landscape, Quest for Beauty’s architecture and landscape section surveys two dozen projects and buildings designed between 1927 and the mid-‘50s, including a dynamic 1934 scheme for Timberline Lodge; Yeon’s inventive plywood houses of the late ‘30s; and the 1950 Shaw House, which elegantly anticipates the stylistic eclecticism of Postmodernism. The exhibition features original models and drawings, along with images by a trio of the midcentury’s greatest architectural photographers: Ezra Stoller, Maynard Parker, and Roger Sturtevant. Newly developed models and axonometric drawings will invite a greater understanding of Yeon’s careful siting of buildings and his cutting edge construction and sustainable design techniques. A high-definition time-lapse video records the changing seasons at The Shire, the stunning 78- acre preserve in the Columbia Gorge that Yeon saved from development and shaped into a unique landscape. 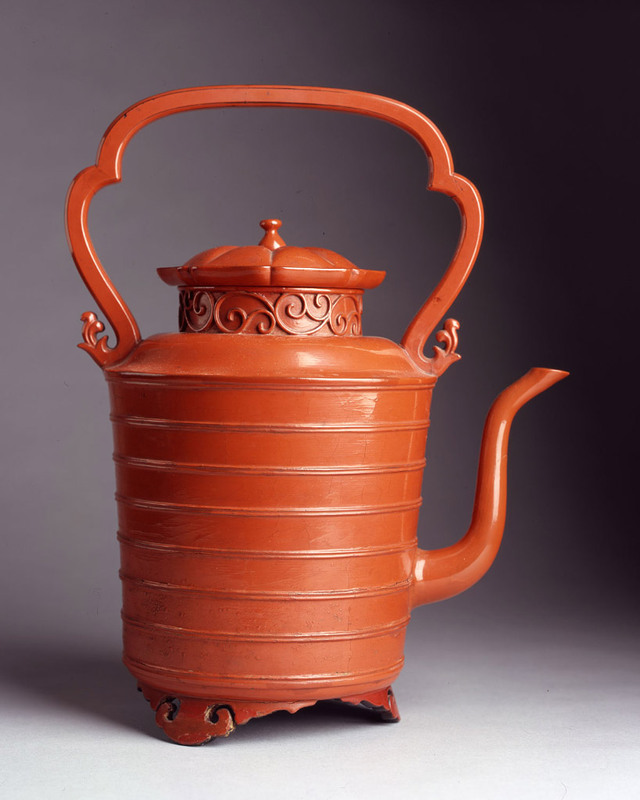 The exhibition features a wide selection of art, decorative arts and historic materials lent by Richard Louis Brown, who founded the Yeon Center in 1995 with his gift of the Watzek House to the University of Oregon. 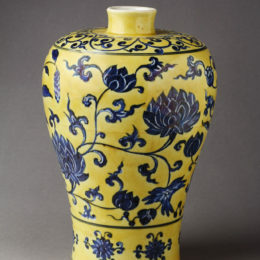 Yeon’s interests as a collector encompassed a range of materials from distant times and places, with concentrations of Chinese furniture and ceramics, Korean ceramics, Japanese screen paintings, Japanese lacquers and ceramics, and Indian miniature paintings, as well as European decorative arts of the 18th century. He had a keen sense of quality and an eye for detail, and he moved effortlessly across scale and scope, finding delight equally in small objects and vast vistas. 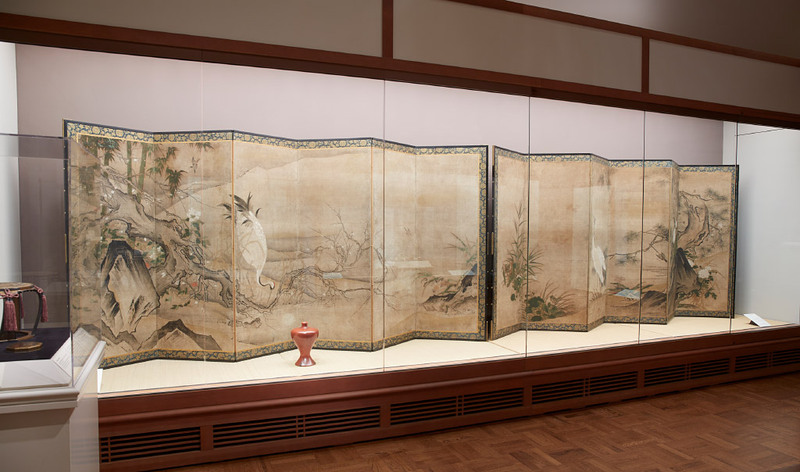 Together the buildings, landscapes, art, furniture, and objects showcase a restless eye and mind that could absorb the lessons of centuries of Asian and European art while developing an original vision for the Pacific Northwest. Quest for Beauty is accompanied by two books published by the Yeon Center with Monfried Editions, John Yeon: Architecture and John Yeon: Landscape. The Museum is presenting a variety of public programs and tours in conjunction with the exhibition, including an opening lecture by distinguished curator and architecture scholar Barry Bergdoll. 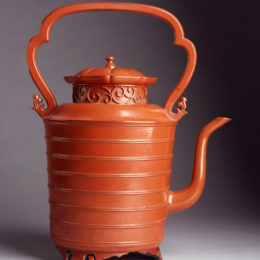 Organized by Portland Art Museum and curated by Randy Gragg, executive director of the University of Oregon’s John Yeon Center for Architecture and the Landscape. 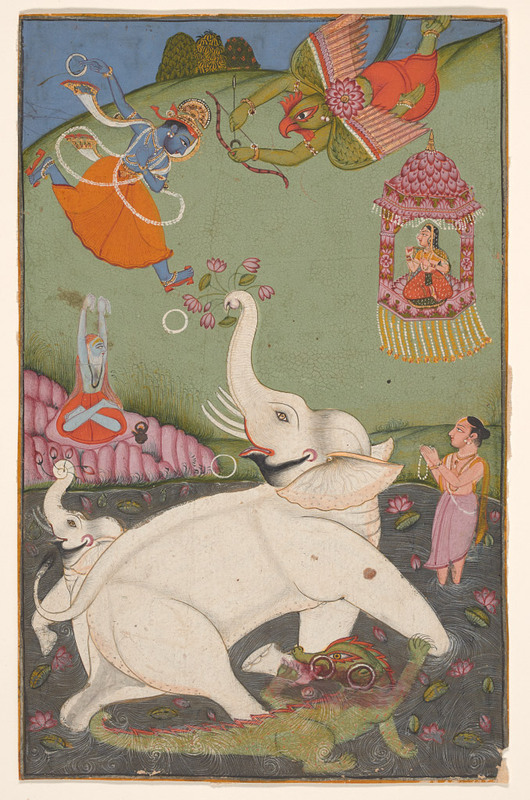 Collection exhibition curated by Maribeth Graybill, Ph.D., The Arlene and Harold Schnitzer Curator of Asian Art, and Dawson W. Carr, Ph.D., The Janet and Richard Geary Curator of European Art. John Yeon’s accomplishments as an architect received national recognition while he was still in his prime, and his impact on the Oregon landscape as an activist for the environment was well known regionally. 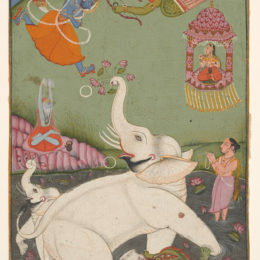 His genius as a collector belonged to the more private aspects of his life and may be less familiar to Museum audiences. 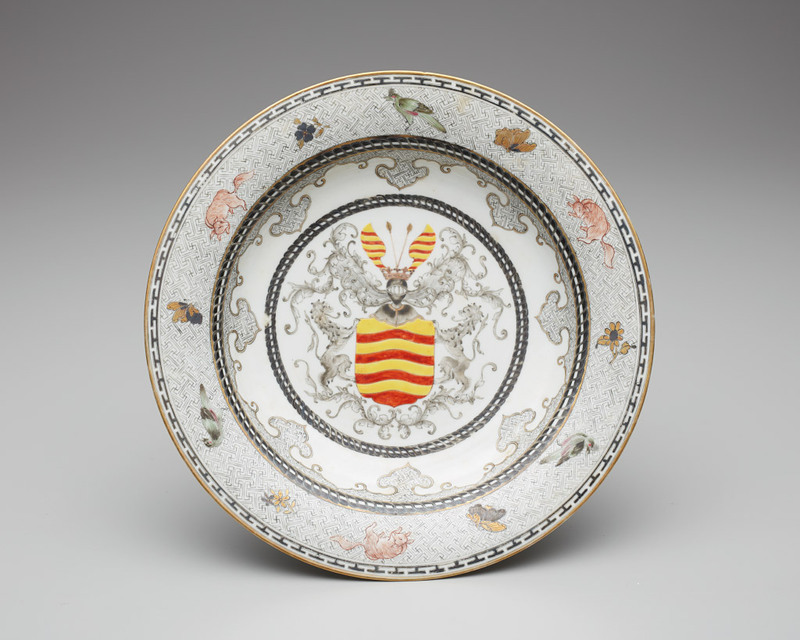 The selected highlights from the collection featured in this exhibition illuminate the extraordinary breadth of his interests, spanning several centuries of human endeavor from Europe to Asia, and his unerring eye for quality craftsmanship. 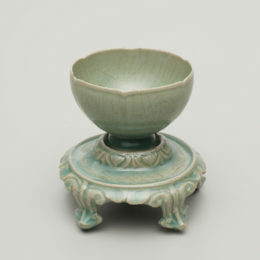 Yeon was an assiduous student of the arts, reading and traveling widely as well as corresponding regularly with leading scholars in the field. His choices were, however, uniquely his own. He seems to have been drawn to objects with flowing, curvilinear contours or asymmetrical compositions—works that played well against the almost Spartan rectilinearity of his architecture. He displayed these works in his residential interiors in thoughtfully curated arrangements, bringing together East and West in utterly unexpected, brilliant combinations. 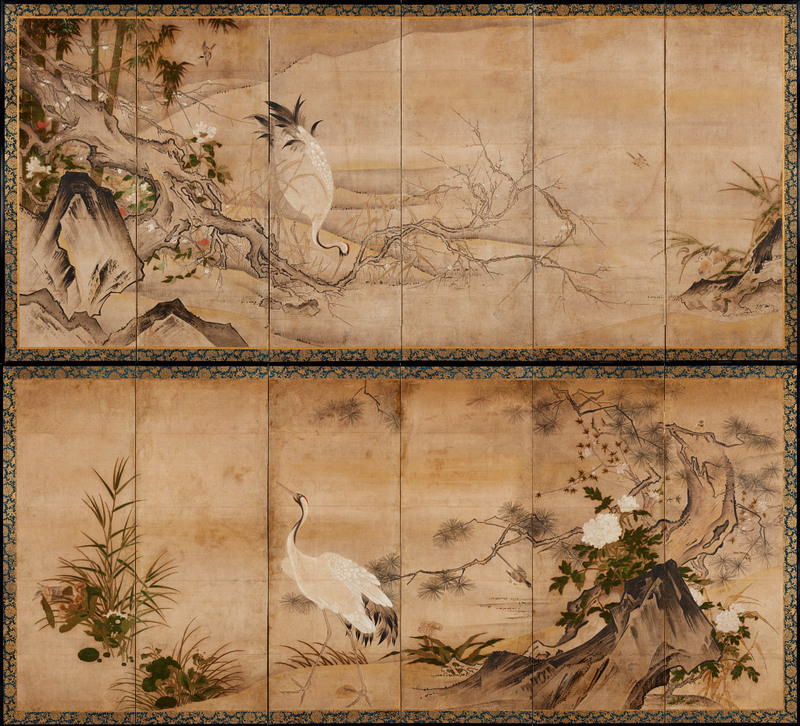 One of his favorite acquisitions was a pair of Japanese screens of birds and flowers, which he believed to be by Sesshū (1420–1506), the most famous painter in Japanese history. Modern scholarship considers them to be by a close follower, an opinion that in no way diminishes their dramatic graphic impact. 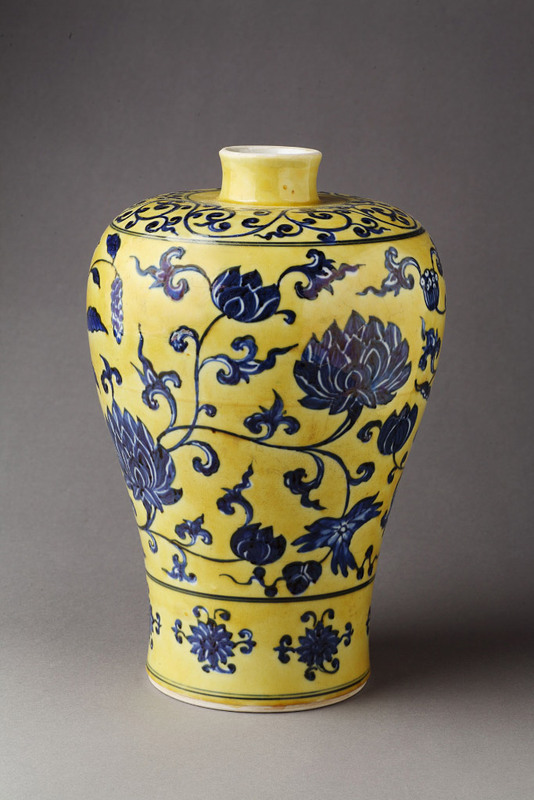 Yeon would use Japanese screen paintings as the visual anchor for a large space, and then populate the rest with art works of smaller scale, such as the magnificent Chinese baluster vase in dazzling yellow and blue, or Indian miniature paintings in intense hues. 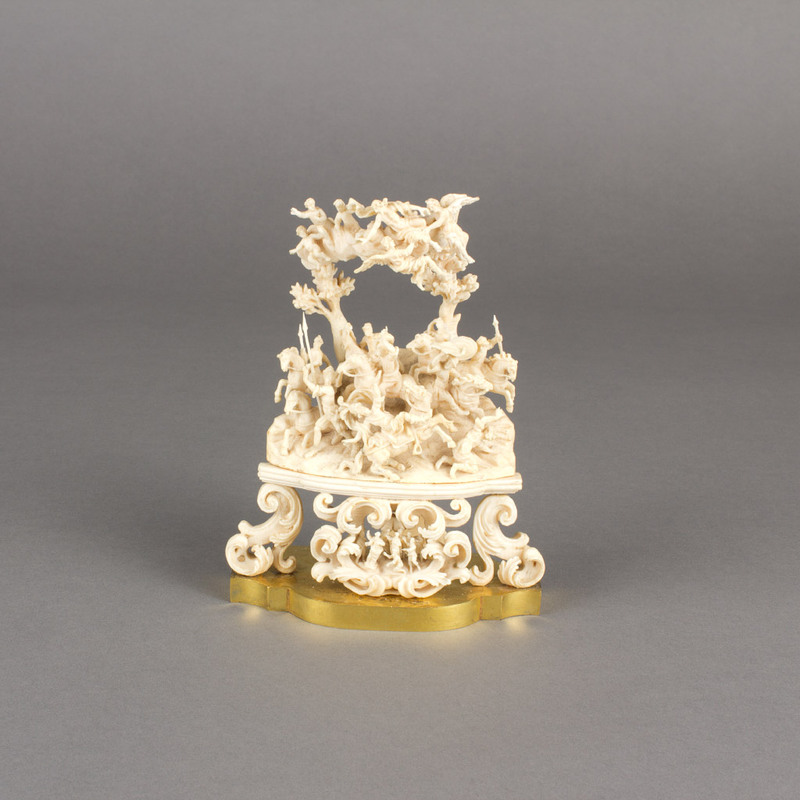 Yeon’s penchant for Asian art was echoed in his pursuit of chinoiserie, whimsical 18th-century European objects that freely interpret Chinese and East Asian artistic traditions. 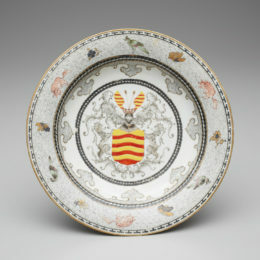 He was particularly attracted to chinoiserie made in Venice, Europe’s gateway to Asia. 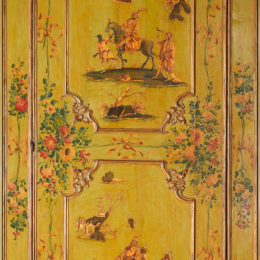 One of the most spectacular objects in his collection was a door from the Ca’ Rezzonico on the Grand Canal, in which whimsical sprays of flowers, tied with crisp ribbon, enframe two scenes that epitomize European fantasies of the exotic East. 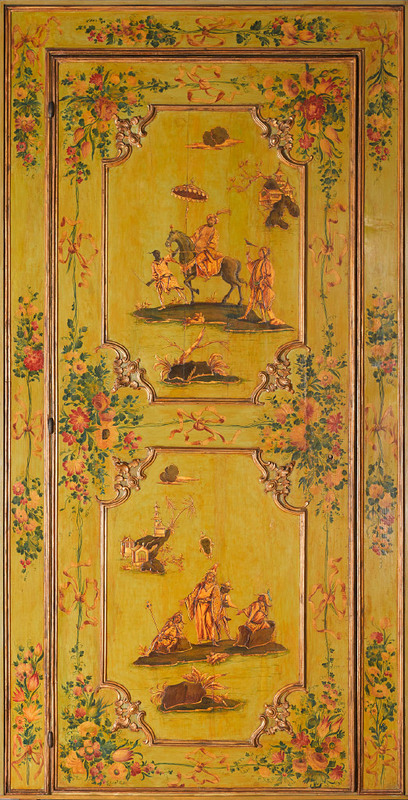 Made about 1760, the door is painted in high relief and finished to resemble Asian lacquer. 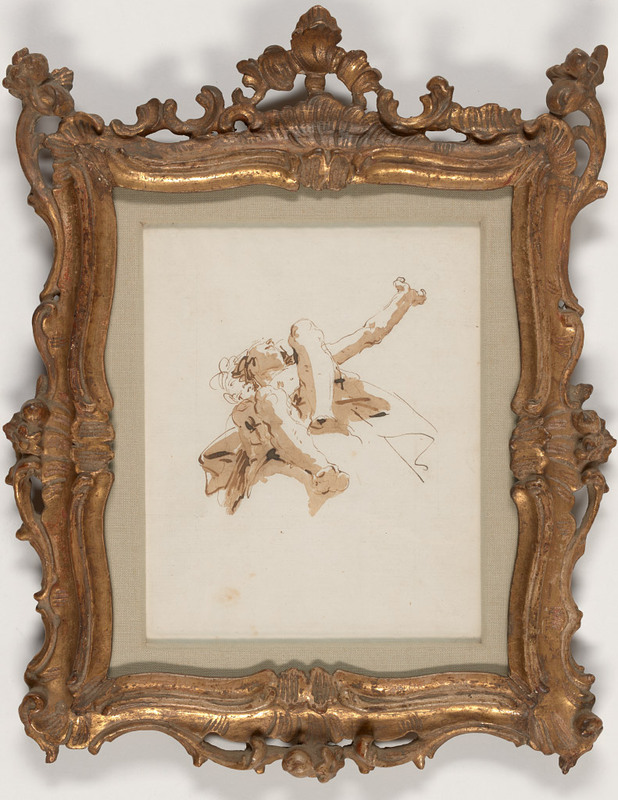 In collecting European art, Yeon favored Italian and French works of the Baroque and Rococo periods, particularly those depicting dramatic movement. 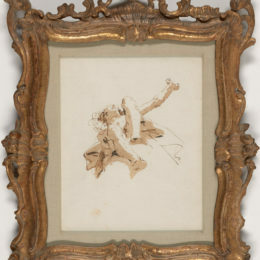 These include two objects depicting figures in flight: Hubert Gerhard’s bronze Putto and an impressive sketch of a flying figure viewed from below by Giovanni Battista Tiepolo. 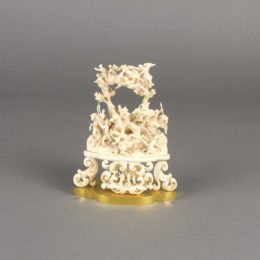 Most spectacular of all is an ivory carving, less than 6 inches tall, depicting The Conversion of Saint Paul with numerous figures in action. These works no doubt first attracted Yeon because of their extraordinary handling of materials, but the movement of forms surely also appealed to the architect. From exorbitant rents and spiraling property prices to a growing houseless population, issues around affordable housing are some of the most pressing problems faced by those living in Portland today. However, none of these challenges are new. In the late 1930s, the need for financially accessible housing was a driving force behind John Yeon’s Plywood Houses. His innovative series of modern, inexpensive, modular homes pioneered the use of exterior plywood, a product locally sourced and made famous in the early twentieth century by the Portland Manufacturing Company in St. Johns. In the spirit of Yeon’s innovative thinking, we developed the [Plywood] POD Initiative to explore how the power of design — together with the economical material qualities of plywood — could play a part in creating shelter solutions for houseless residents in Portland. Like the 1930s, visionary design thinking is needed today to address the crisis of homelessness here and around the country. The work in this space represents members of the Portland architecture and design community responding to this challenge, offering new provocations to support a village model of individual tiny houses with shared amenities and a culture of community and self-governance. The POD Initiative is organized by Portland State University’s Center for Public Interest Design and Communitecture, and is guided by the work of the Village Coalition. The Village Coalition is a Portland-based non-profit organization made up of advocates, activists, designers, and houseless individuals committed to combatting homelessness through placemaking. Members of the Village Coalition and partners in the houseless community have contributed to this effort from its conception to serving as jury members to review submitted designs. The work represented through this phase of the project builds on significant steps made by the Portland architecture community in the POD Initiative’s inaugural project in the fall 2016, which resulted in 14 built prototypes for tiny houses called sleeping pods. Those sleeping pods will now provide shelter for 14 women in a new village in North Portland’s Kenton neighborhood operated by Catholic Charities and the Joint Office of Homeless Services of Multnomah County. We invite you to help us imagine how the designs in this exhibit might inform the creation of new villages in Portland as one approach to a larger array of solutions necessary to respond to the homeless crisis in our city. This space was designed and made possible by partnerships between the Portland Art Museum and Portland State University’s Center for Public Interest Design (CPID). Special thanks to Todd Ferry, CPID Research Associate and Faculty Fellow, along with students Olivia Snell, Brendan Murphy, Danette Papke, Rosemary Hill, Heather Peterson, Aung Kyaw Zin, and Tomasz Low; Randy Gragg of the University of Oregon’s John Yeon Center; the Village Coalition; Mark Lakeman of Communitecture; Sergio Palleroni, Director of the CPID; and residents of Hazelnut Grove. Participating Design Teams: Architects Without Borders Oregon, Carleton Hart Architecture, Clark/Kjos Architects, GBD Architects, Holst Architecture, LRS Architects, MWA Architects, Office Andorus, Opsis Architecture, Brendan D. Sanchez, Scott Edwards Architecture, SERA Architects, and Shelter Wise + Tiny Nest. Hoffman Construction Company in memory of Eric Hoffman, Sr.